GET THE CONCRETE YOU NEED, WHEN YOU NEED IT AT NEARLY HALF THE COST. Cemen Tech mobile mixers provide an immediate solution with no waiting and virtually zero waste unlike traditional ready mix which demands you work on their schedule. 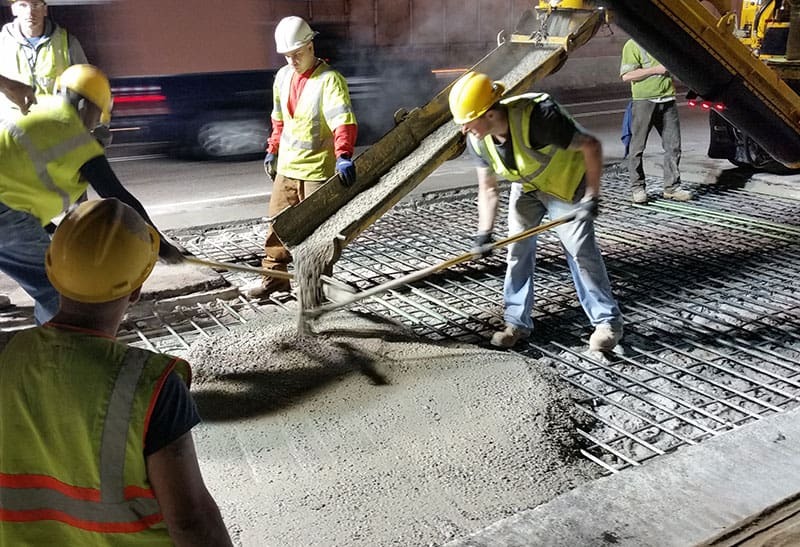 Our concrete solutions give you the ability to decide when, where and how much concrete you need, no more short loads and after hour fees or issues with remote locations. Utilizing Cemen Tech mobile mixers will make you more competitive in your marketplace and add versatility to the types of jobs you can bid. Our own volumetric technology allows you to have a batch plant and mixer in one unit – batch, measure, mix and pour all from a Cemen Tech mobile concrete mixer! Today many projects also require a sustainability check list and Cemen Tech concrete solutions are less waste, fuel and emission as well as minimal clean-up, wash-up and use biodegradable hydraulic oil. Partner with Cemen Tech, the industry leader in concrete production solutions, enabling our customers to provide the world’s best concrete one cubic yard at a time. Our volumetric technology of continuous mixing lets you produce the concrete you need, when you need it, where you need it – no waste, no wait. Check out how much you can save per year using Cemen Tech concrete solutions; exact design mix and quantity saves money for both you and your customers. Our expert staff will have you up and running fast; we work with you through the order process, delivery, training and on-going support. * Financing reduces savings slightly. Results are approximate. Click "Learn More" for an in-depth cost analysis. Cemen Tech mixers have successfully been used in concrete production for a wide variety of applications all over the world. Check out Cemen Tech videos to learn more about our volumetric technology, training and how our concrete solutions can help your business today.